Any condition to the contrary shall not be binding to the Service Provider unless expressly accepted by the Service Provider in writing, regardless of when the Service Provider becomes aware of the condition. That the Service Provider does not exercise one or more of the provisions in these Terms of Sale shall not be interpreted as a waiver of the Service Provider’s right to exercise any of the provisions in these Terms of Sale at a later date. • The way in which the translation was priced. A translation is billed either at a flat rate, at an hourly rate, or based on the Service Provider’s rates at the time the quote is prepared, such as the number of words in the text to be translated or number of target words in the translated text, according the Statistics function in Microsoft Word, by line, page, or by hour. To confirm an order, the Client must return the unaltered quote with the Client’s written approval and signature to the Service Provider by regular mail or fax if the quote was sent to the Client by regular mail or fax. If the Client received the quote by electronic mail, the Client may confirm the order by expressing this clear acceptance by return electronic mail. If the Service Provider does not receive the order confirmation, the Service Provider reserves the right not to commence work on the project concerned. In the absence of the Client’s express acceptance of the new delivery and/or invoicing conditions, the Service Provider reserves the right not to commence work. The Client shall provide the Service Provider with all of the texts to be translated and all of the technical information required to understand the text and, if necessary, the specific terminology required. If the Client fails to inform the Service Provider, the Service Provider shall not be held liable if the translation does not conform to the Client’s standards or if delivery is late. 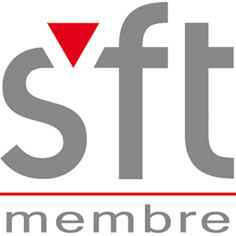 As soon as the event from which the complaint or dispute arises occurs, either party may refer the matter to the Arbitration Commission of the Société Française des Traducteurs (SFT) by registered letter with return receipt. The parties agree to allow the Commission to attempt to arbitrate using the means it deems appropriate. The parties agree to do everything within their power to ensure that arbitration is successful. They agree to operate in good faith. They also agree not to take legal action in the four months following the referral of the dispute to the Commission. The parties agree that any attempt to resolve the matter through channels other than the Commission during this period may result in the rejection of the case by the Commission or in the incapacity to resolve the matter amicably and shall justify the payment to the other party of Euro 1,500.